A natural purifier, garlic has antiseptic, anti-viral and antibacterial properties. Use this preparation for all those little day to day first aid moments to clean up scratches and minor abrasions, or clean ears and skin folds. 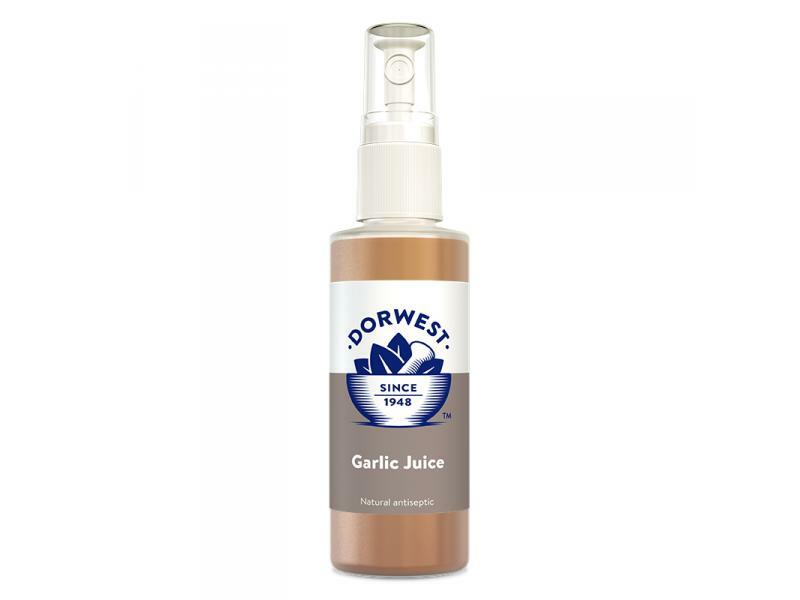 Parasites, like fleas and ticks, don’t like the pungent odour of garlic and a top tip is to comb this liquid through the coat to discourage those nasty pests. If you own a small furry, such as a rabbit, guinea pig or hamster Garlic Juice can be added to the drinking water and it’s also safe to give to birds. 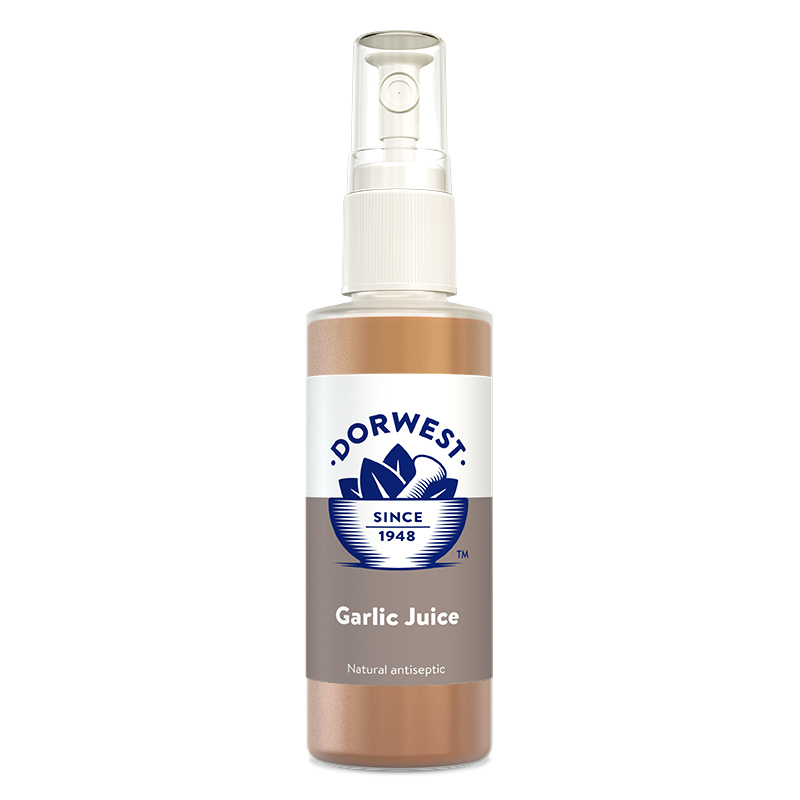 Below are some recent questions we've received regarding Dorwest Wound Remedies Garlic Juice Spray, including answers from our team. HI there. Just wondering how long this keeps once it is open? The shelf life is the date of the expiry, which does vary depending on different batches. How long does this last once opened? Does it have to be kept refridgerated? Thank you for your question. Once opened our Garlic Juice can be used up to the expiry date which is on the side of the bottle. Additionally, it does not need to be refrigerated, it simply needs to be stored in a cupboard out of direct sunlight.